Okieladybug's Scrap N' More: Stampin Up Promotion - FREE RIBBON! 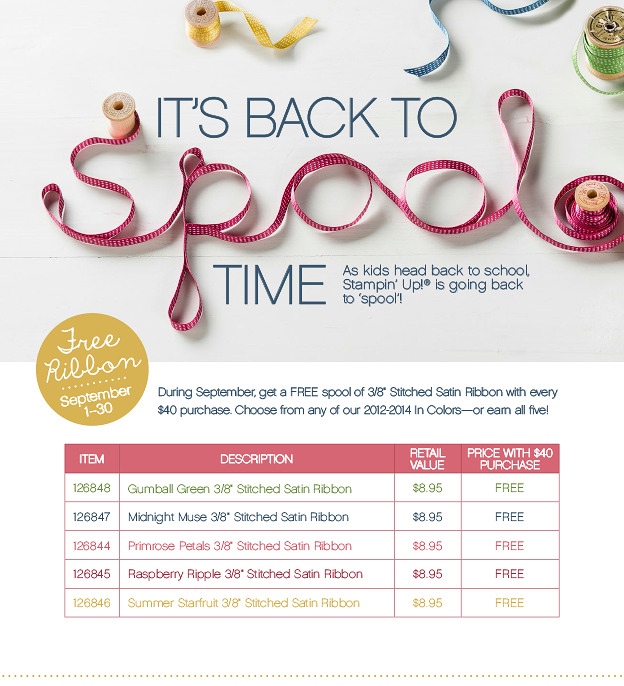 Stampin Up Promotion - FREE RIBBON! This month is my hostess month in my Stampin Up club and I hit the good month! 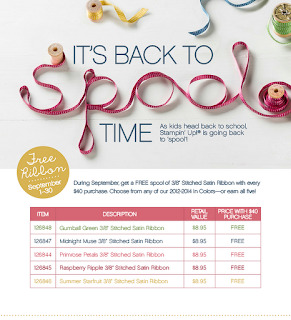 Stampin Up is running a promotion right now where if you order $40 worth of product you get a free 10 yard spool of 3/8 inch satin stitch ribbon. If you order $80, two spools...$120, three spools, etc. If you would like to make an order please let me know and I will get you Kristen Long's email address so you can email your order to her. Orders need to be made ASAP since she will be going out of town for the weekend on Friday and she would like to get the order in before then. I am having a hard time picking out the color I want!! It's a toss between Gumball Green and Primrose Petals...what to do what to do! How could you resist something called "Gumball Green"? Just gotta have it. Sometimes Ya Just Go UGH...lee! Don't Like The Team? Change It! Have Ya Tried Iron-On Vinyl? New and Improved....Is it better?